The delicate hairs above the eyes are not something that the general population thinks about on a regular basis. It is thought that the eyebrows, similar to the eyelashes, function to protect the eyes from getting debris in them. This may seem of minimal importance, but the eyebrows actually play a much larger role in human interaction. In addition to their practical function, the eyebrows are essential to communicating our emotions to others. How an individual is feeling is highly reflected through his or her eyebrows based on their angle, height, and shape. For example, eyebrows that are angled downward in the middle generally show that a person is angry or upset, while raised eyebrows often indicate surprise. In addition, wavy or scrunched eyebrows usually signify confusion or doubt. The non-verbal communication of these feelings through our eyebrows is critical for human interaction because a single look can express more than words alone. People perceive the mental outlook of others based on their eyebrows without even realizing it, and this can affect how we interact (or don’t) with others. Since the eyebrows can convey a person’s mood, a person may be judged as easygoing and approachable or angry and rude just from their eyebrows. People with eyebrows that permanently hang low over their eyes generally project an angry or sad appearance, and people with eyebrows that are rounded or uplifted are usually perceived as happier and welcoming. Based on these perceptions, we may or may not approach and interact with a person. The characteristics of the eyebrows can also affect how beautiful we think a person is. The eyebrows give shape and definition to the eyes, which has a direct effect on the appearance of the rest of the face. Many women and men spend a lot of time and money shaping, dyeing, and filling in their eyebrows to make them frame their face in the most attractive way and balance their facial features. Everything from the length and shape to the thickness and color of the eyebrows affect a person’s overall facial appearance. If you don’t think eyebrows make much of a difference, check out these images of celebrities without their eyebrows. Unfortunately, as we age the eyebrows tend to become thinner, and some people suffer from conditions that cause their eyebrows to disappear altogether. People with sparse or no eyebrows don’t reap the full benefits of these important tools for human interaction. While some people may turn to tattooing to improve the appearance of their eyebrows, this solution fades over time and is not very aesthetically pleasing to everyone. 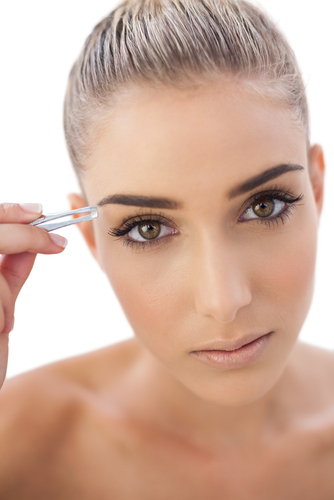 Eyebrow enhancement with NeoGraft® provides a permanent and natural solution to hair loss in the eyebrow area. For those who desire to restore full, natural-looking eyebrows, Dr. Wise offers eyebrow enhancement. This restoration and enhancement procedure uses the NeoGraft® Automated FUE (follicular unit extraction) Hair Transplant System to graft individual hair follicles from specific areas of the scalp to the eyebrows. The results appear completely natural, blend in with existing eyebrow hairs, and will continue to grow like natural hair after the procedure is complete. Dr. Jeffrey B. 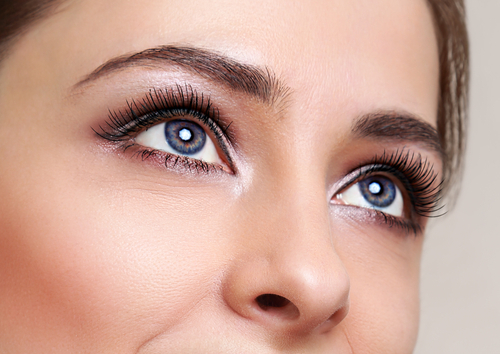 Wise has the skill and precision to provide excellent results with eyebrow restoration and enhancement. To learn more about this procedure and schedule your consultation with Dr. Wise, please call (888) 295-6933 or fill out our online contact form today.